admin has written 25 articles so far, you can find them below. Well I know I am late but we have had a lot going on. Our last trip was Feb. 2, 2014 and we had many patients anxiously awaiting the surgery that would change their life back to normal and fortunately we were able to successfully help 85% of these ladies as the other 15% had had multiple surgeries previously or were deemed irreparable until we get our new facility which will allow us to have a 100% success rate on these ladies. 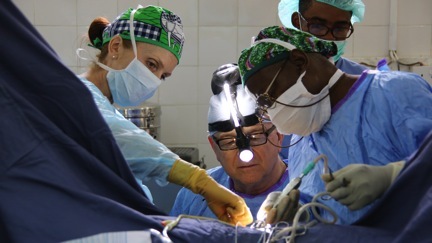 We also were able to operate on many women and young girls for Gynecological conditions including a lady that had a 22lb. tumor that was fortunately benign (not malignant). Unfortunately we continue to see many women with cancer that if seen earlier would have a very good chance of survival. 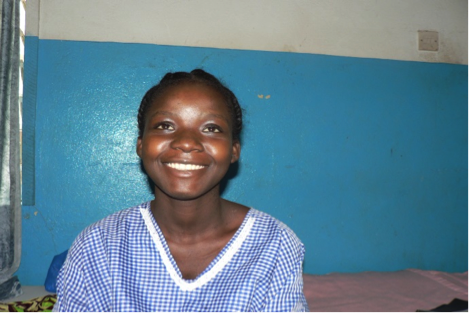 We had a 14 year old girl with severe complications from FGM (Female Genital Mutilation) we were able to repair and restore her to a near normal condition. To give you an idea how life changing surgeries can be we had 2 ladies that had had urine running down their legs for 50 years and 34 years respectfully that walked out of the hospital completely dry. Dr. Susan Hardwick-Smith continues to amaze all of us with her efforts in fund raising as she again competed in the Iron-Man competition in New Zealand surpassing her previous record by raising $33, 593.60 which was donated to the West Africa Fistula Foundation by many of her friends and patients. During this trip we were honored to have the Restore Hope Foundation associated with the First Baptist Church in Arlington, Texas and several of their board members and spouses visit our facility as they also have projects in Sierra Leone. We also had Mr. Steve Pfieffer, a board member of Project Hope, come and tour our program. A few weeks ago a group of ladies from the Gateway Church in Southlake Texas visited our site and had prayer with the patients on the ward. We very much appreciate all those that contribute to the physical and spiritual needs of our patients and their families. Bottom line we continue to make great strides with each member of the WAFF team very dedicated to helping the less fortunate and with the Good Lord’s Blessing we will prevail. We again appreciate your support to make a difference in this world. For those of you that shop with Amazon. AT NO ADDITIONAL COST TO YOU, Amazon will donate 0.5% of your eligible purchase to WAFF if you will go to www.smile.amazon.com to do your shopping. It is the same products, same price, same service. 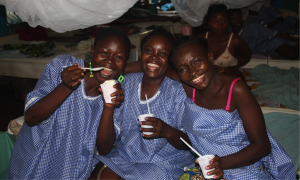 When you log in just be sure to change the charity to West Africa Fistula Center Foundation. Even better, at checkout, there is a place for you to spread the word that you have donated to WAFF via social media! 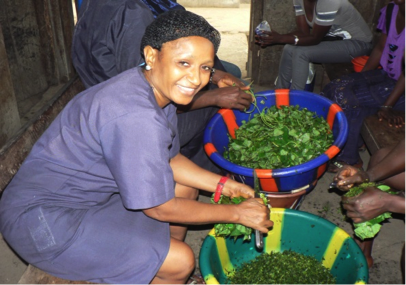 Josephine preparing potato leaf for the patients’ meal. Happy patient after surgery! ! 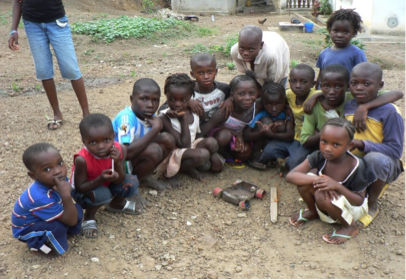 Sierra Leone children with homemade toys. 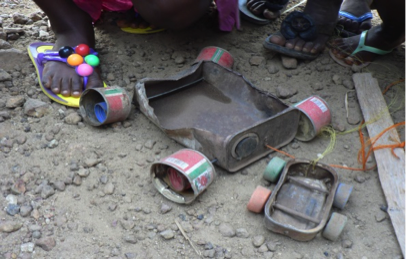 Creative recycling with a gas can, tomato cans, sardine can and pop bottle lids! On Saturday Feb. 16, Dr. Susan Hardwick-Smith, a Houston-area obstetrician/gynecologist (OB/GYN) and founder of Complete Women’s Care Center, will make her first trip to the West African country of Sierra Leone. 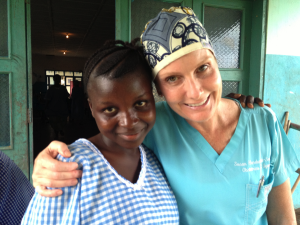 Dr. Hardwick-Smith will make the trek in conjunction with the Texas based West Africa Fistula Foundation (WAFF), to help bring an end to the devastating effects of Obstetric Fistula. Many of the 2–3 million women who suffer from fistulas worldwide are ostracized by the communities that they live in and their husbands often abandon them to fend for themselves. Hardwick-Smith pays for her own travel expenses and donates her services –but she wanted to do more. 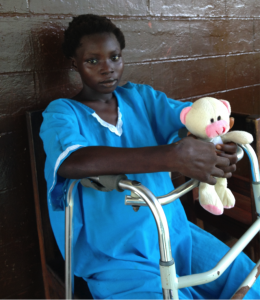 Even with services and travel donated, the surgical procedures cost nearly $1,000 per woman, plus the WAFF provides not only badly needed medical treatment, but also a working staff within the country to establish local care and treatment for this terrible condition. To say that Dr. Hardwick-Smith is driven is an understatement. When she does something, she does it BIG. She is the founder of a busy ten-provider OB/GYN practice, is a renowned obstetrician and gynecologic surgeon, wife, mother of three (two of the three are twins), marathon runner and now Ironman triathlete. “I decided to train for the Ironman to raise awareness about the plight of these women in Sierra Leone,” said Hardwick-Smith. “Let’s face it, training and competing in an Ironman triathlon event (2.4 mile swim, 112 mile bike race and a 26.2 mile marathon) could rank up among the most selfish activities in the world. 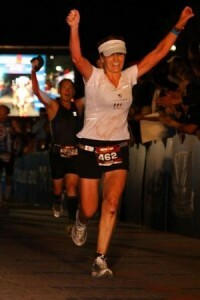 On November 18, 2012, sporting a shirt she had made featuring the West Africa Fistula Foundation logo, Dr. Susan Hardwick-Smith crossed the finish line in 12 hours, 45 minutes having raised more than $31,000 and carrying in her heart the hopes of millions of women that they would not be forgotten. 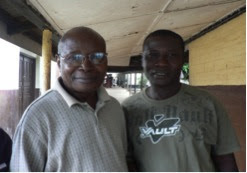 A COUPLE from York have moved to Sierra Leone to help provide vital care for women giving birth. 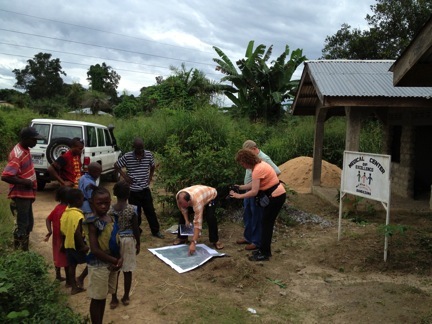 Andrea and Paul Robinson, both 55 and from Dringhouses, are heading up an American organisation in Bo, the country’s second city. The west African country has one of the world’s highest infant mortality rates and many women die in childbirth or are left injured due to poor care. She said she wanted “somewhere warm where I could use my skills,” and found work with Voluntary Services Overseas. The couple are working with the West Africa Fistula Foundation, established by Texan obstetrician Darius Maggi to repair fistulas in new mothers – internal tears caused by obstructed labour. 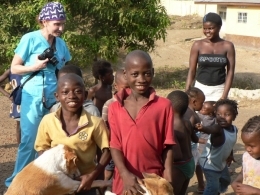 Sierra Leone has a severe shortage of skilled medical staff, with many leaving during the 1991-2002 civil war and others being lured away since to better jobs. Mismanaged labour often leads to the baby and/or mother dying, or the mother suffering a fistula. 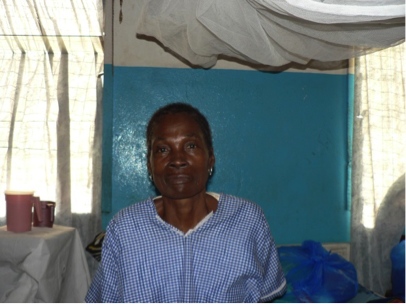 Women suffering the condition face lifelong incontinence unless it is treated, and are often ostracised by their community as a result. 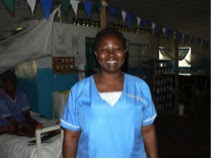 Dr Maggi has repaired 1,000 fistulas and the organisation seeks to treat more victims and prevent avoidable new cases, through education and medical provision. 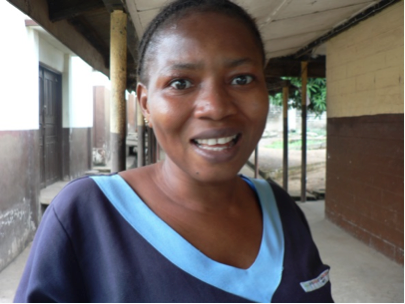 Andrea is now working as the Foundation’s head of operations, with Paul as head of facilities and transport, focusing on building a Surgical Centre of Excellence in Sierra Leone to help reduce the shortfall of medical staff.